The Silver Xenica Oreixenica lathoniella herceus is a small native butterfly, occurring in cool climate regions across South Eastern Australia and Tasmania. The species prefers open grassy woodland habitats and requires specific grass host plants during their larval stage. The Silver Xenica was only first recorded in South Australia (SA) in 1979 at Piccaninnie Ponds Conservation Park and was subsequently reported by Roger Grund and Lindsay Hunt in 1999. 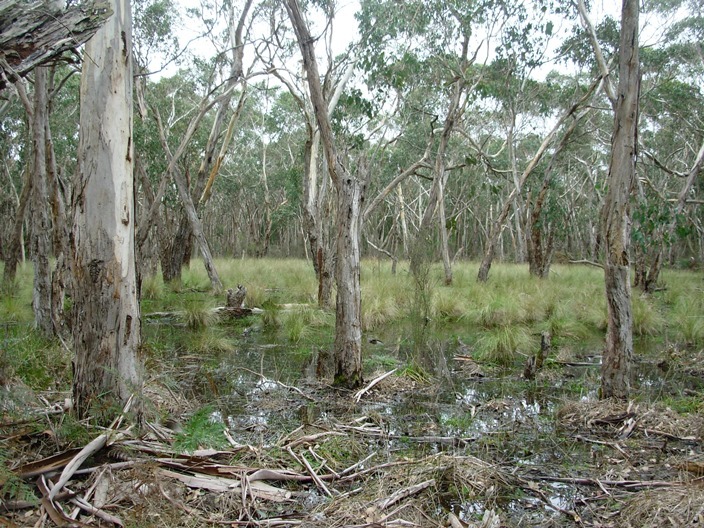 In March 2006, a new colony was detected in the Honan and Kangaroo Flat Native Forest Reserves (15 km NW of Mt Gambier), which represented the most western extent of the species known range in Australia. This colony was also observed flying the following year in 2007. Targeted surveys, between 2008 and 2015 have failed to detect the species and have raised concerns for their overall status in SA. Current State and Commonwealth legislation does not list this butterfly as ‘at risk’ in any Act. However, based on available literature for the South East (SE) region of SA and local field data of no individuals since 2007, the Silver Xenica is considered ‘critically endangered’, and nearing extinction in SA. Nature Glenelg Trust are aiming to prevent this from occurring by increasing the population through translocation, a priority action from the Swamp Gum Woodland Regional Action Plan. The butterfly will commence flying in late March through to late April, during which time staff and volunteers will be harvesting eggs from females contained overnight with larval food plants to encourage egg laying. We have obtained the necessary permits to allow the shifting of butterflies and eggs from private and public land sites in western Victoria into public nature reserves in South Australia, so a number of adult females and males will also be collected and transported across border from several sites. Sites chosen in SA for translocation include Native Forest Reserves near Glencoe which contain suitable food plants in a moist grassy woodland setting with an overstorey of Swamp gums. The propagation of food plants has occurred in the NGT nursery and plants will be provided to Glenburnie Primary School to participate in aspects of the translocation where the students will gain first-hand experience in observing and recording information about insect life cycles. This activity forms part of the Restoring Under-represented Ecological Communities project, which is supported by Natural Resources SE and the Australian Government.